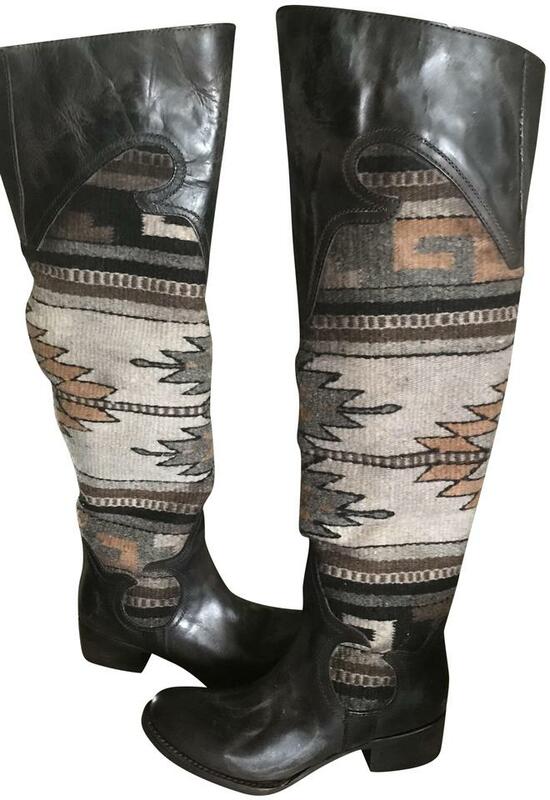 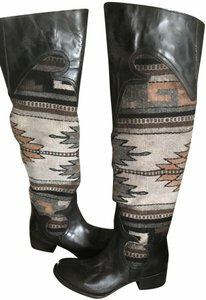 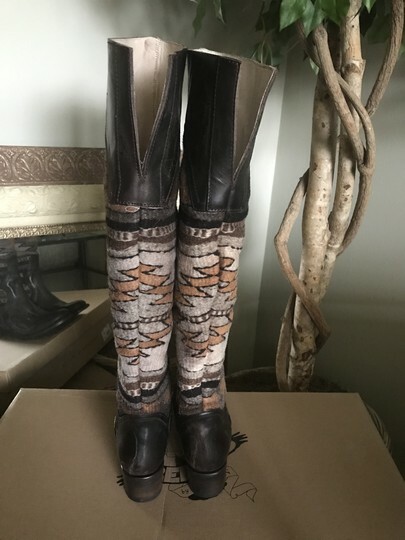 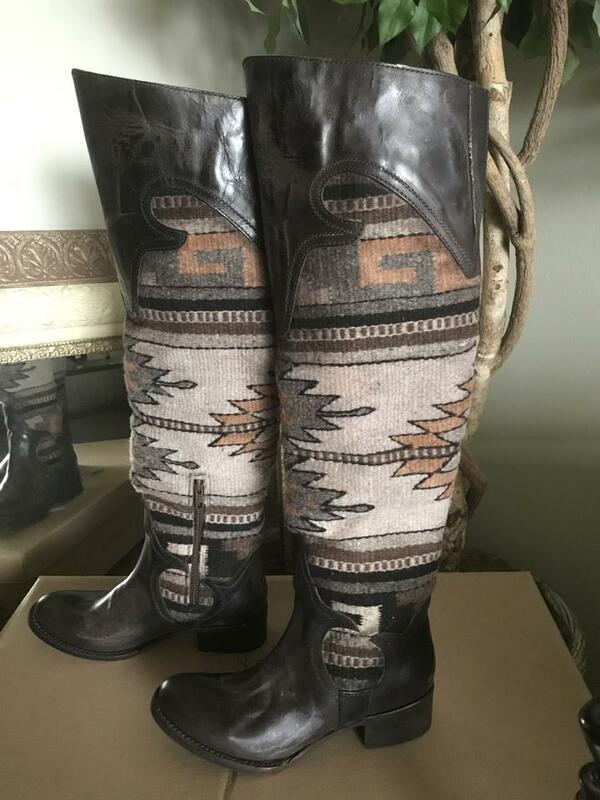 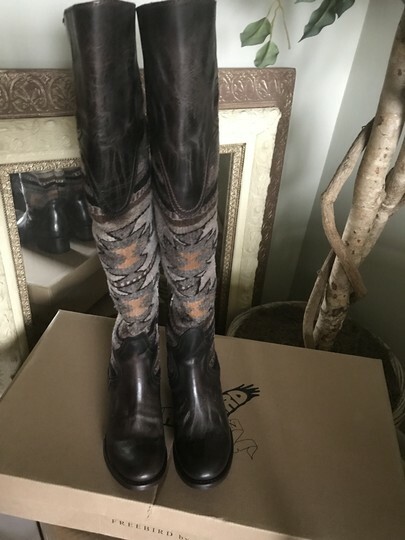 Freebird by Steven Sun over the knee Dark Brown Distressed Leather Boot with Textile Fabric Shaft. Brand new w/box. 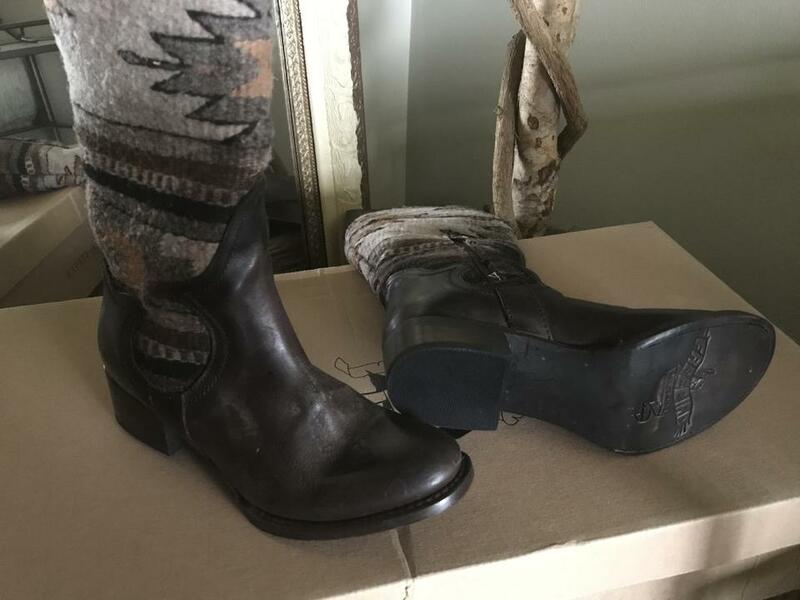 True to size (6.5-7M).